Elementary translation theory instructs us to translate meaning, not form. Gender in the linguistic sense (in contrast to the biological categories of male and female) is a grammatical category, that is, a "form," differing from language to language.2 Some languages possess no gender-marked forms. Others possess two, three, or more genders. They differ also in the ways in which they draw the boundary between different genders (Carson 1998:77-98). So it is not only misguided but impossible to translate gender in a one-to-one fashion. One might therefore conclude from the elementary theory that gender is irrelevant. But more advanced examination of languages shows that form and meaning interlock, so that the simple recipe of ignoring form overlooks subtle meaning nuances. Kenneth L. Pike years ago noted the complexities in the relation between form and meaning and developed a distinctive emphasis on the "form-meaning composite" to express the complexities involved in such phenomena (Pike 1967:62-63, 516-517; Pike 1982:115-117). One possibility they have tried is the use of the second person “you” instead of the third-person singular.4 Consider Proverbs 12:14. The New International Version (NIV) reads: "From the fruit of his lips a man is filled with good things as surely as the work of his hands rewards him." The Good News Bible (GNB, 2d ed.) reads: "Your reward depends on what you say and what you do; you will get what you deserve." The NIV and the Hebrew, by using the third person, invite readers to see a sample case “out there,” and then to apply the truth to anyone whatsoever. Certainly each reader may apply to the truth to himself. But he may also apply the truth to others whom he is counseling, just as the father counsels his son in the early chapters of Proverbs. By contrast, the second-person in the GNB invites each reader to apply the truth first of all personally. Applying the truth to others by offering them counsel is an afterthought. The directness of focus on application to the individual reader is different in the two cases. The same differences crop up again and again in changes from third person to second person in Proverbs. But what difference does it make, since either wording implies the same propositional generalization? Meaning and communication involve more than abstract propositions. They involve relations between author and reader, a reader and his actions, a reader and other actors, and so on. We must resist the temptation to reduce meaning to a mere basic core. We must also resist arguments based on simplistic appeals to the distinction between form and meaning. One argument might go as follows. Pronominal systems, like gender systems, differ from language to language. Pronouns are forms, and what we are after is the meaning expressed by whole sentences. Hence, changing from “he” to “you” in a generalized statement changes form but preserves meaning. But in fact the situation is more complex. The forms that distinguish first-person, second-person, and third-person pronouns vary from language to language.5 But some of the meaning-functions remain similar across languages, because all over the world people distinguish speakers from addressees and addressees from third parties. And all over the world statements of general truths are not purely abstract, but anchor themselves in the situational and personal realities of one person making a statement to another, within a certain personal, social, and temporal context. (Thus Kenneth Pike considered the situation and culture as a necessary context for linguistic analysis [Pike 1967:25-149].) The differences between first, second, and third person have subtle but pervasive effects on the orientation of people to the truths about which they speak. The changes also affect the genre of the middle section of Proverbs, 10:1-22:16. Second-person exhortations abound in Proverbs 1-9 and in some parts of the later chapters of Proverbs. But the middle section contains almost nothing but third-person sayings. The strategies of the different sections make a difference. The tone of the third-person middle section invites readers to be wise observers of life. Yes, they will discover in the end many concrete, practical applications to their own lives. But the atmosphere begins more with contemplation than with action. Proverbs encourages us to learn something about the ways of others, and to learn from observing the blessing of the Lord on some and his punishments on others. Converting third-person sayings into second-person sayings tends to break down the distinctiveness of this middle section of Proverbs, and makes English readers less aware of its overall reflective mood. The GNB, the New Living Translation (NLT), and the Contemporary English Version (CEV) often change to second person in the Book of Proverbs. They sometimes do so even when the change is not necessary in order to eliminate a generic “he” (for example, Prov 12:17 GNB; 12:24 NLT; 11:3 CEV). Some of the changes seem almost random. One wonders what reason there could be for such alterations. Were the translators insensitive to nuances, so that they did not realize that they were changing meanings? Were they not aware of the distinct tone of the middle section of Proverbs? Did they freely make changes because all they cared about was some basic core of meaning? One wonders. The GNB, NLT, and CEV share conspicuously a pronounced commitment to dynamic equivalent translation. The tradition of dynamic equivalent translation advises us to translate meaning, not form. But everything depends on how much one includes under the term “meaning.” At times it seems that dynamic equivalent translation has become a broad umbrella. It can cover at one end the meticulous attempt to reproduce as far as possible every nuance of meaning. But it can also be used as a fig leaf to cover questionable practices that appear to ignore anything beyond a minimal core meaning. Consider the following example. NIV: A gift opens the way for the giver and ushers him into the presence of the great. NLT: Giving a gift works wonders; it may bring you before important people. The two translations express a similar meaning; each indicates that a gift may be effective in obtaining an audience before a prominent person. Once again the temptation arises to say that the meaning of the two is the same, but the form differs. But subtle differences in meaning accompany the changes in form. Some of these differences arise from the general paraphrastic policies of the NLT. For example, the word “wonders” in the NLT introduces the connotation of the marvelous, which is not expressed in Hebrew or in the NIV. But what about the change to “you”? It also results in a noticeable change in meaning. Just as we observed in the earlier example, by using a third-person statement the NIV invites the reader to start with a sample situation involving a giver out there in the world. This sample situation functions as the starting point for generalizing about life. The NLT, by using “you,” invites the reader to think of himself as the actor and then to generalize from there. The resulting generalization may be similar, in the two cases, but the starting picture is different. Some further effects crop up in this example. The NIV’s third-person statement leaves open the question of ethically evaluation. It merely observes that giving gifts to obtain favor is an actual practice among human beings. Maybe the practice is okay. But maybe not. Maybe people should not be so readily influenced by gifts. Granted that people are so influenced, maybe an individual should give in and follow the trend for purely pragmatic reasons. But maybe also he should resist the trend and see the use of gifts in this way as a form a manipulation. Neither the Hebrew nor the NIV explicitly commit themselves to answer these “maybe” questions about ethically evaluating the process. The New Revised Standard Version (NRSV) and the New International Version Inclusive Language Edition (NIVI), as less adventuresome translations, have sometimes shifted to the second person. But more often, they have preferred to change a third-person singular statement with “he” to a third-person plural statement with “they.” Consider some examples. NIV: If there is no interpreter, the speaker should keep quiet in the church and speak to himself and God. NIVI: If there is no interpreter, the speakers should keep quiet in the church and speak to themselves and God. The NIVI has changed the singular “speaker” to plural “speakers,” in order to avoid the subsequent occurrence of generic “he” in the form of “himself.” But in doing so, it has introduced an ambiguity. In the NIVI, the verse may mean that all the tongue-speakers are to go off together and speak “to themselves,” that is, to one another in their own private meeting, separate from the rest. Or does the NIVI mean that each speaker is to go and speak to himself rather than to anyone else? The latter, not the former, is basically the meaning of both the NIV and the original Greek. By converting to plurals, the NIVI introduces an ambiguity in English. NIV: Whoever eats my flesh and drinks my blood remains in me, and I in him. NIVI: Those who eat my flesh and drink my blood remain in me, and I in them. The language of “eating my flesh and drinking my blood” will suggest to many the picture of celebrating the Lord’s Supper. And the Lord’s Supper surely symbolizes the spiritual communion about which Jesus speaks. The NIVI, because of its plurals, suggests the picture of the church together eating the flesh and drinking the blood (similarly, NRSV, NLT). The idea of “remaining,” both the church in Christ and Christ in the church, then becomes corporate. But then the individual focus of John 6:56 is lost from sight. RSV: … He who abides in me, and I in him, he it is that bears much fruit, for apart from me you can do nothing. NRSV: Those who abide in me and I in them bear much fruit, because apart from me you can do nothing. As with John 6:56, the NRSV’s change to plural “they” shifts the focus to disciples in their plurality. When the text says “I in them” in stead of “I in him,” it is no longer clear that Christ is dwelling in each disciple rather than simply corporately in the church, “them” as a group. NIV: No one can come to me unless the Father who sent me draws him, and I will raise him up at the last day. NLT: For people can’t come to me unless the Father who sent me draws them to me and at the last day I will raise them from the dead. The focus shifts from the individual in the NIV to the group in NLT. In the NLT, we may think of crowds coming to Jesus because the Father draws them. The Father brings whole groups, but perhaps each individual makes up his own mind within the group. It is not clear whether the Father acts on any individual in a way distinct from another individual. Perhaps he just draws the group as a whole. The doctrine of individual calling is lost from sight. The group as a whole is raised at the last day, but perhaps some people within the group have fallen away by that time. The doctrine of individual assurance of salvation is lost from sight. We find in John 6:65 the same problems as in John 6:44. NIV: … no one can come to me unless the Father has enabled him. NLT: … people can’t come to me unless the Father brings them to me. The subtle shifts in the meaning, and the ambiguities between a corporate and an individual meaning, do not seem to be merely random. Though at first blush it might seem that a singular and a plural form express the same meaning, a closer examination shows subtle differences in meaning. The singular “he” is not only singular in form, but has an effect on meaning. The language suggests as a starting point a single individual who becomes a sample case for the general truth. The plural “they” is not only plural in form, but results in a plural meaning: the starting point contains a plurality of individuals, about all of whom together we make the assertion in question. In the one case, we derive a general principle from a single starting case; in the other, we derive application to each individual from a direct assertion with respect to a plurality. By itself, this difference in starting point is a difference in meaning. And it results in a further difference, namely that what is explicitly in the foreground in one case is derived in the other. But in addition, the difference in starting point introduces in some contexts a potential ambiguity between corporate and individual interpretations. The singular “he” implies unambiguously that the truth holds for each individual within the scope of the general statement. The plural “they” leaves open, in some contexts, the possibility that the truth might apply primarily or exclusively to the people as a group, in their relations to one another or in their corporate wholeness. Thus, changes in person and number in generic statements involve not only changes in form, but subtle changes in meaning as well. Therefore, these changes are not in general acceptable in English Bible translation. (But see Poythress and Grudem [2000:343-344] for one kind of exception, in cases of unusual switches between pronouns within a short piece of text.) We should continue to use generic “he” whenever it is needed, in order to preserve these nuances. Does generic “he” carry male connotations? All this only serves to bring into focus the question of whether we can indeed use generic “he.” If generic “he” were genuinely unavailable in English, we would have to do the best we could without it, and there might be no choice except to settle for some approximation that unavoidably loses nuances of meaning. What do we say here? The topic is too extensive for me to address here. I must refer readers to the discussion in Poythress and Grudem (2000:111-232). We shall have to content ourselves with three observations. First, generic “he” still occurs in major secular publications like The Chicago Tribune, Newsweek, U.S. News and World Report, and Reader’s Digest (see Poythress and Grudem 2000:203-210). It is acknowledged as a reasonable usage in The Associated Press Stylebook and Libel Manual (1994:94) and the latest edition of Strunk and White, The Elements of Style (2000:60-61) (see Poythress and Grudem 2000:210-211). Since it is still in use, let us use it when we need it. The American Heritage Dictionary perceptively observes, "Thus he is not really a gender-neutral pronoun, rather, it refers to a male who is to be taken as the representative member of the group referred to by its antecedent. The traditional usage, then, is not simply a grammatical convention; it also suggests a particular pattern of thought" (1996:831). The “pattern of thought” in question involves starting with a male example in the picture when stating a general truth. The masculine form of “he” turns out not to be mere form, but to have meaning-connotations even when used generically (Poythress and Grudem 2000:135-161). Analogously, third personal masculine singular generic masculine nouns and pronouns are customary in biblical Hebrew and Greek. This custom, too, may seem at first glance to be mere "form." But careful examination suggests that an analogous phenomenon of starting with a male example occurs in Hebrew and Greek. Leviticus 14, for example, discusses the procedure for a person who is to be pronounced clean from leprosy. Leviticus 13:29 and 38 have already clearly indicated that the regulations for leprosy include both men and women. When Leviticus 14 discusses the ceremony for cleansing, it designates the leper with masculine singular forms, and then in 14:9 says that “he must shave his head, his beard, his eye-brows and the rest of his hair” (NIV). At this point the fact that male example is in view comes to the surface (Poythress and Grudem 2000:142-146, 335-347). Thus in all three languages a meaning component attaches to the use of the masculine form. Third, and finally, some writers adopt a style in which they oscillate between using generic “she” and generic “he.” This oscillating use is not objectionable to feminists. The oscillating use shows not only that people still understand generic “he,” but also that the real objection is not to a single occurrence of generic “he.” Rather, the objection is to any pattern in which male examples predominate over female ones. The objection is to a pattern of thought. Authors writing in English may of course adapt to the contemporary scene as they see fit. But a translator, in distinction from an author, is not free to change the pattern of thought in Scripture, even if it should prove offensive to some. In sum, the use of pronouns shows interlocking between form and meaning. From these phenomena we may generalize. Specific forms within a specific context often carry meaning nuances that cannot be completely reproduced by substitute forms. Translation must indeed translate meaning, not merely form. But meaning includes nuances, not just a basic core. 1 This essay was originally presented as a paper at the annual meeting of the Evangelical Theological Society, November 15, 2000, in Nashville, Tennessee. It has some overlap with material from Poythress and Grudem (2000). 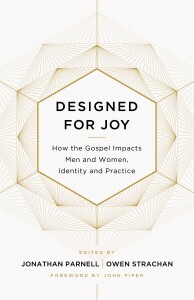 The Poythress-Grudem book includes an expanded discussion of many of the points here. In fact, many of the examples given here were originally intended to be included in an appendix, but were in the end left out in order to shorten the book. I appreciate the contributions of Wayne Grudem both with respect to the larger issues and with the particular examples. 2 In subsequent discussion of "gender" I always mean linguistic gender, not the biological categories of male and female. 3 For an extended critique of gender inclusive translations, see Poythress and Grudem (2000). Defenses of gender-neutral translations appear in Carson (1998) Strauss (1998). Roughly speaking, Carson and Strauss represent a point of view opposite to Poythress and Grudem. But the opposition is qualified in two ways: (a) in a few individual cases Carson and Strauss admit that some gender-neutral translations have made mistakes; and (b) Carson and Strauss misunderstand our position at a number of points, so that what they claim to oppose is not our actual position. These matters come up for discussion in Poythress and Grudem (2000). 4 In some translations one will also find uses of the first-person plural, “we”: “We can gather our thoughts, but the LORD gives the right answer” (Prov 16:1 New Living Translation [NLT]; similarly in the Contemporary English Version [CEV]). The NLT and CEV also introduce “we” in other places in Proverbs even where there is no problem with generic “he” (Prov 16:33; 16:2 CEV). 5 In addition, some languages have a “fourth person” form, for more distant references. 7 Wayne Grudem originally drew my attention to this example. With some of the other examples below, I cannot remember whether Grudem or I first noticed the example. 8 The idea for this example comes from Miller and Swift (1980:46), who in turn cites C. Badendyck in the New York Times Magazine. The American heritage dictionary of the English language. 1996. Third ed. Boston/New York: Houghton Mifflin. The Associated Press stylebook and libel manual. 1994. Reading, Mass. : Addison-Wesley. Carson, D. A. 1998. The inclusive language debate: A plea for realism. Grand Rapids, Mich.: Baker. Miller, Casey, and Kate Swift. 1980. The handbook of nonsexist writing. New York: Lippincott & Crowell. Pike, Kenneth L. 1967. Language in relation to a unified theory of the structure of human behavior. Second revised edition. The Hague/Paris: Mouton. Pike, Kenneth L. 1982. Linguistic concepts: An introduction to tagmemics. Lincoln: University of Nebraska Press. Poythress, Vern S., and Wayne A. Grudem. 2000. The gender-neutral Bible controversy: Muting the masculinity of God's words. Nashville, Tenn.: Broadman and Holman. Strauss, Mark L. 1998. Distorting Scripture? The challenge of Bible translation & gender accuracy. Downers Grove, Ill.: InterVarsity. Strunk, William, Jr., and E. B. White. 2000. The elements of style. Fourth edition. Boston: Allyn and Bacon.